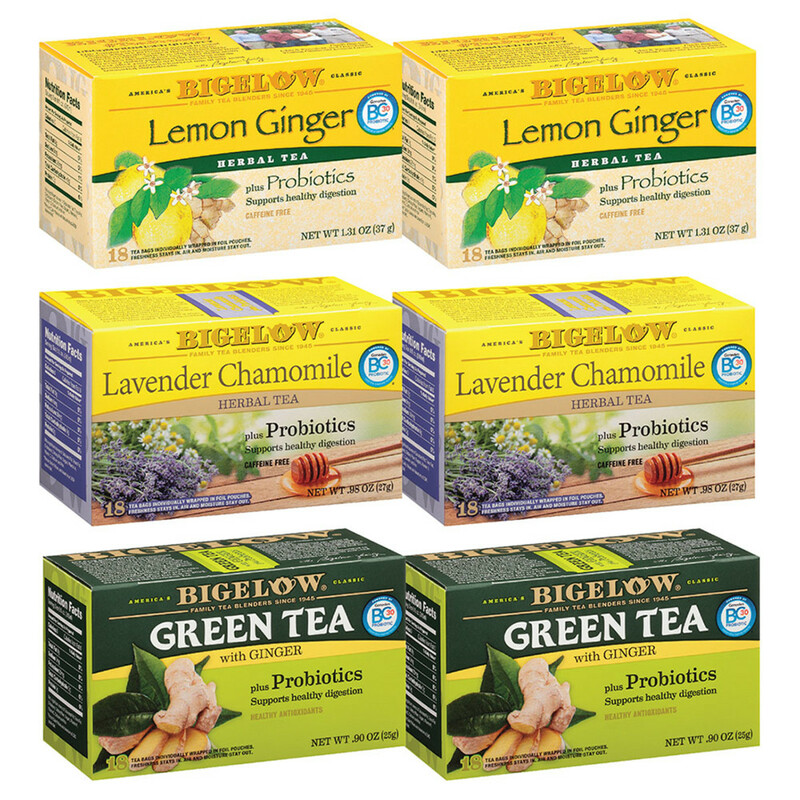 In 2009, Bigelow Tea was the first to overcome the challenge of finding a strain of probiotics hearty enough to survive the high heat of boiling water and deliver beneficial probiotics to the digestive track tract – exactly where they are needed. Today, we are proud to offer flavorful teas that combine Ganeden BC30 Probiotics (Bacillus coagulans GBI-30, 6086), with quality, all-natural ingredients you know and tastes you will love. Case includes 2 boxes each of Lemon Ginger Herbal, Lavender Chamomile Herbal and Green Tea with Ginger.